A cargo vessel carrying 850 tonnes of clinker capsized in the Rupsha River in Rupsha upazila of Khulna district on Wednesday. 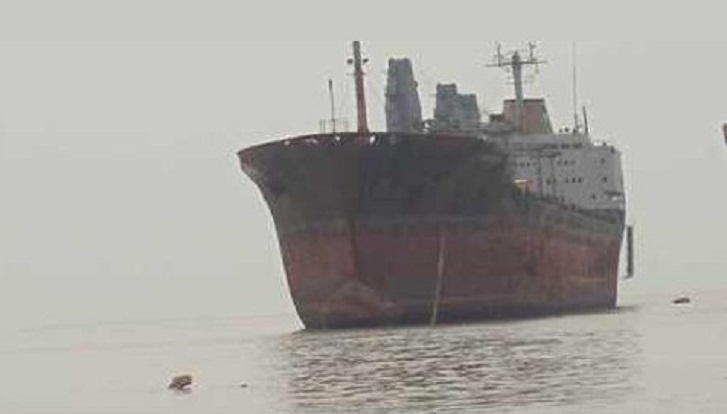 President of Khulna division chapter of Inland Vessel Owners’ Association Saiful Islam told UNB that the Khulna-bound ship, MV Tungipara, coming from Mongla sank in the river near the Rupsha Bridge around 5:30 pm after it developed a crack in the bottom, reports UNB. However, the staff of the ship, owned by Jalal Uddin Rubel, managed to swim ashore. Meanwhile, a rescue team started for the spot to salvage the sunken cargo, said Saiful Islam.